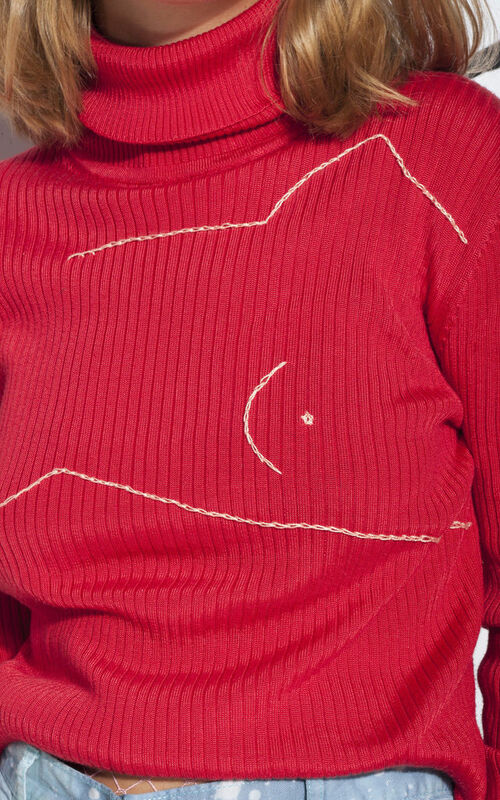 We took this simple red turtleneck and turned it into a piece of art with this rad hand-embroidered graphic. It's made of a ribbed cotton-viscose blend back in the 80s and survived in flawless condition. Fits more sizes depending on the desired look, please check the exact measurements! Bust: 104 cm / 3' 4"
sleeves: 65 cm / 2' 1"
length: 63 cm / 2' 0"